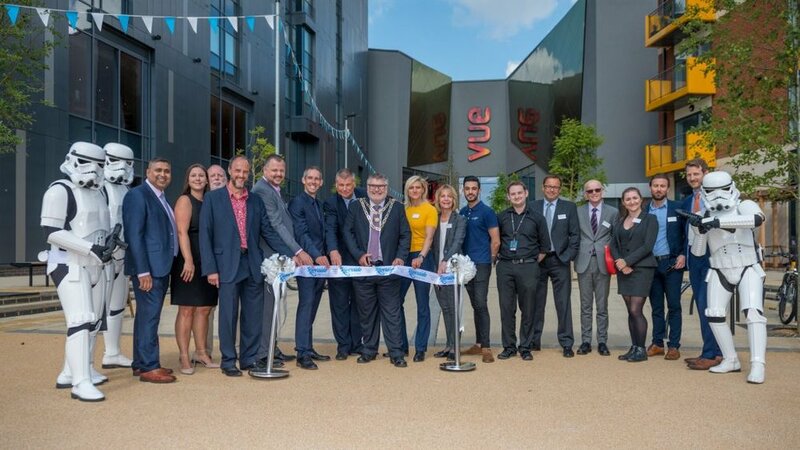 Earlier this month, From My City has worked on the launch of a new mixed-used development project in Bedford town centre. It includes a cinema, a hotel, a number of restaurants, apartments and a public square. This riverside area of Bedford town which consisted in the Old Council office blocks and car parking was unattractive. Already since its transformation, it has increased jobs for local people as highlighted by a recent ITV newsclip. 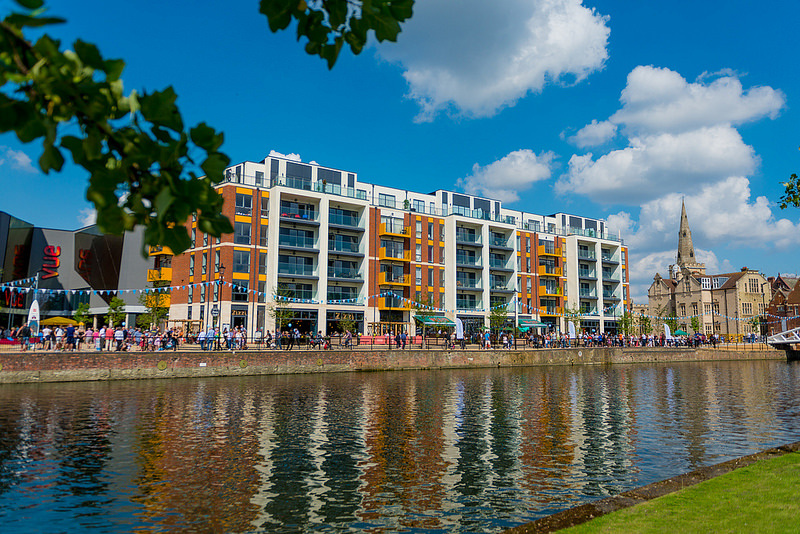 We have been immediately inspired by this new river destination located on the banks of the beautiful River Great Ouse. 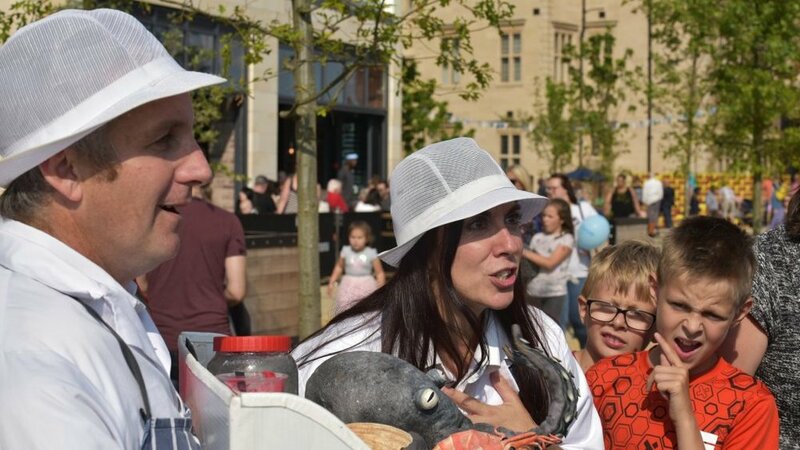 During the 3 day launch events, we worked to put some creative soul into the place and invited local residents and organisations to discover and use their new public spaces. The ribbon cutting ceremony led by Mayor Dave Hodgson included a speech by Olympic gold medallist Etienne Stott. Stott grew up in Bedford and is particularly connected to the local river as he trained in the nearby club the Viking Kayak Club. 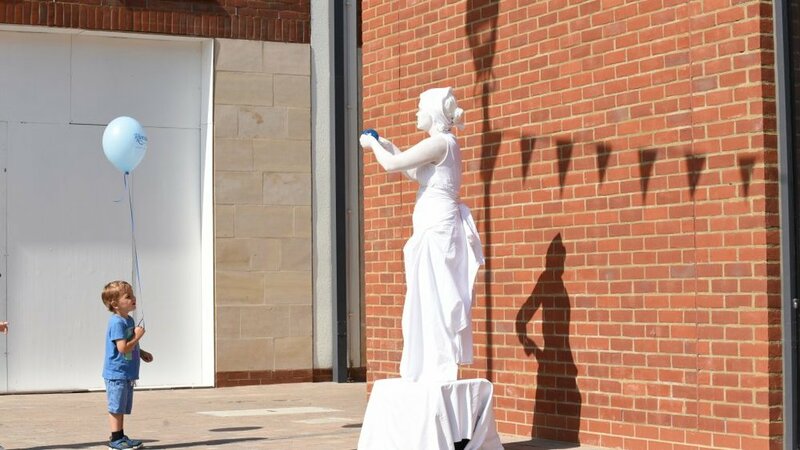 The official ceremony also included the inauguration by Alan Dodd (CEO of Bedford Creative Arts) of the Frog, a new art installation by artist William Rounce commissioned by Riverside Regeneration Limited. This art piece is inspired by Bedford’s industrial heritage of brick-making. To encourage visitors to learn about it, we commissioned the artist to create a Frog trail linking the art installation to the surrounding architecture and Bedford’s brick-making history. The official ceremony was followed by a tasting tour of all the restaurants located in the venue. On the second day, street performers invaded the entire venue to the delight of the visitors. 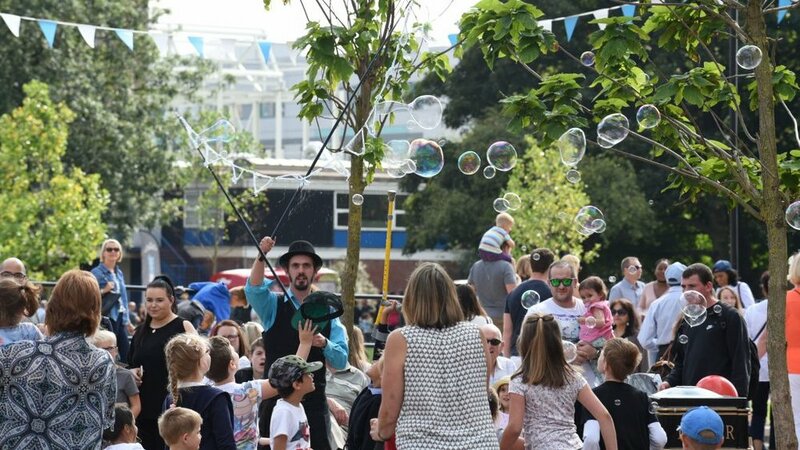 A few pictures can be seen below showing visitors mingling and interacting with jugglers, living statues, unicyclists, hoola hoopers, street dancers, stilt walkers, mimes and puppetry acts. More images can be find here . The last day was very different and conceived as a community/family day. The idea was to put the main square at the disposal of local organisations and charities. A number of Bedford market stalls were used for the first time on the square. There were installed in a way to facilitate communication and interaction. Activities included children books workshops on the river theme, musical activities, tai chi demonstrations etc..